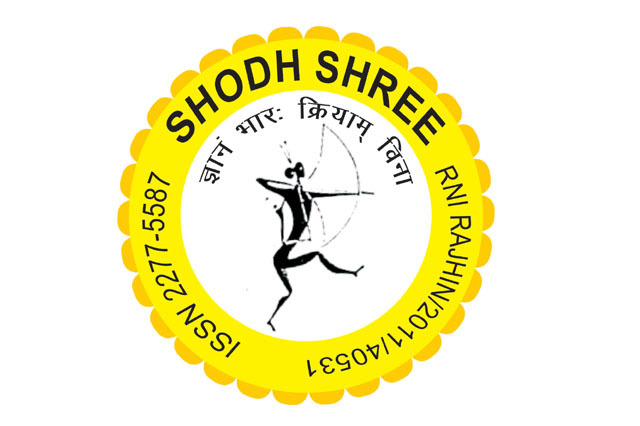 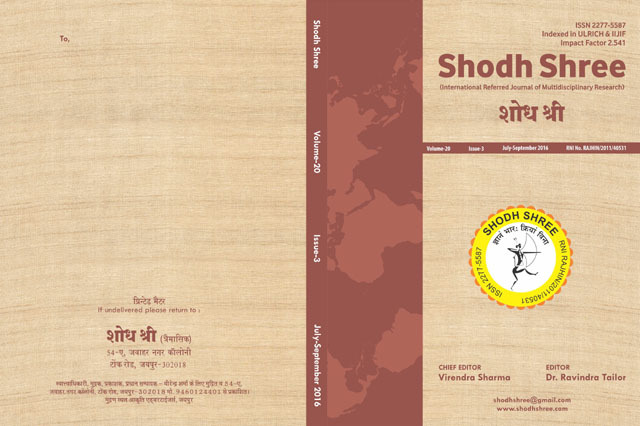 'Shodh Shree' is an 'International Refereed Journal of Multidisciplinary Research'. 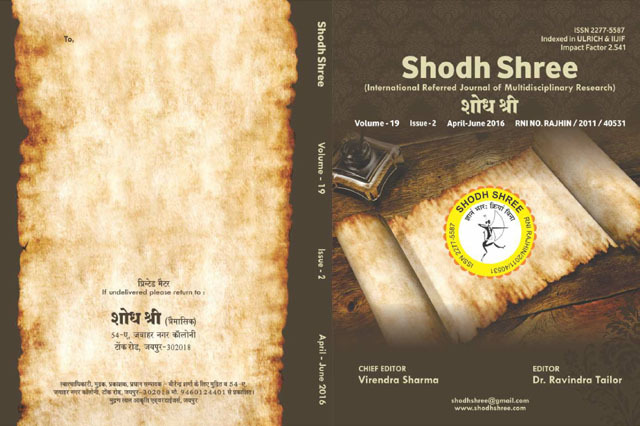 Papers and works of academic interest, once published can be retrieved online from the website as well as will be available in printed format to the subscribed members. 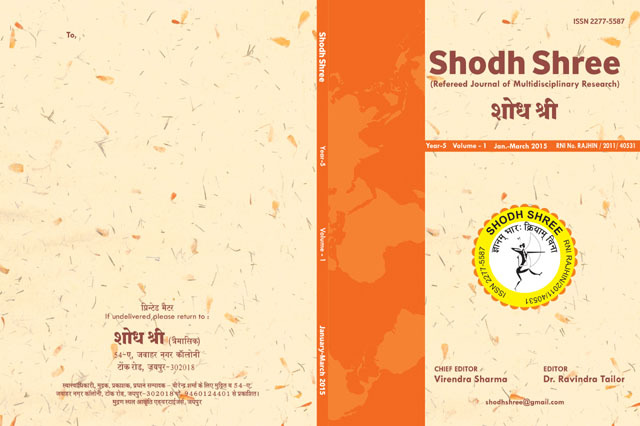 Considering the wide spectrum of the journal, the editor shall be glad to receive research intervention from the fields including areas like engineering, science, commerce and management, education, medicines, health care, computer applications and arts. 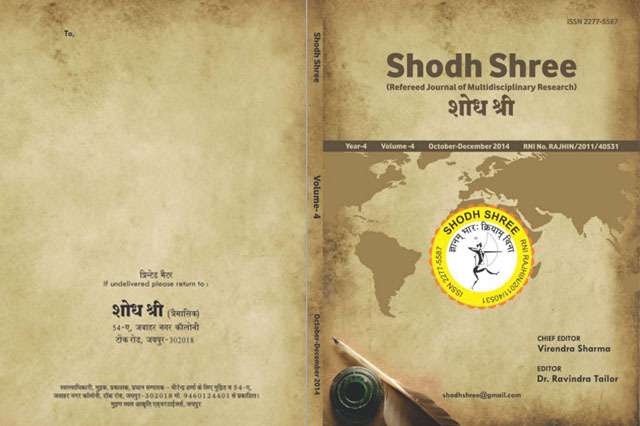 The journal work towards the objective of to be a medium of dissemination of indigenous work being carried out in the country.